When I was a kid in Colombia my grandmother used to sell homemade popsicles from her home when she lived right across an all girls Catholic school. Every time school was out, the girls would knock on her door to buy some because they were delicious since she made them with real fruit juice. Some of the most popular flavors were mora (blackberry) and guayaba (guava). But I really liked her coconut popsicles because she would also add small pieces of guava paste or bocadillo. They would turn out yummy! Besides making cholados and raspados at home during the summer, I also like to make lots of popsicles. 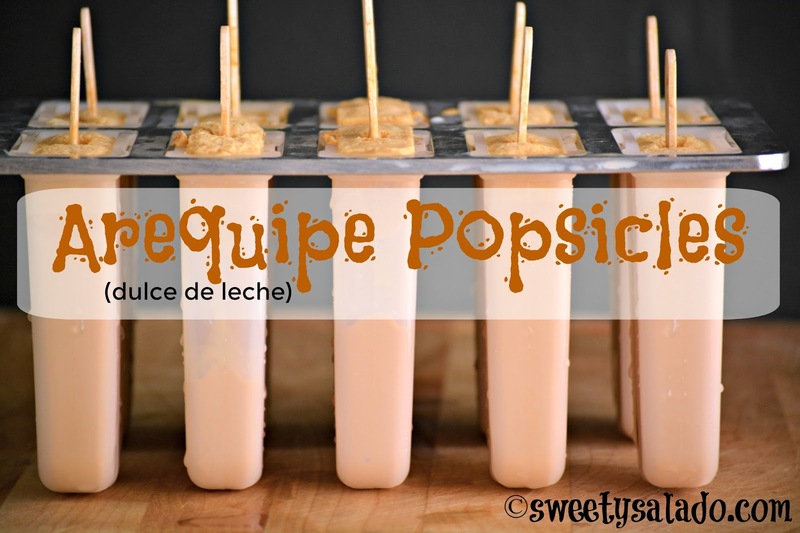 One of my favorite flavors is definitely arequipe or dulce de leche, especially when I make them with heavy cream, even though it’s harder for them to firm up because of the fat content. But if you want them to be a bit firmer, all you have to do is replace the heavy cream with more whole milk or 2% milk which has less fat. They still come out delicious and are perfect to enjoy during a hot summer day. Place all the ingredients in a blender and blend until you get a smooth mixture. 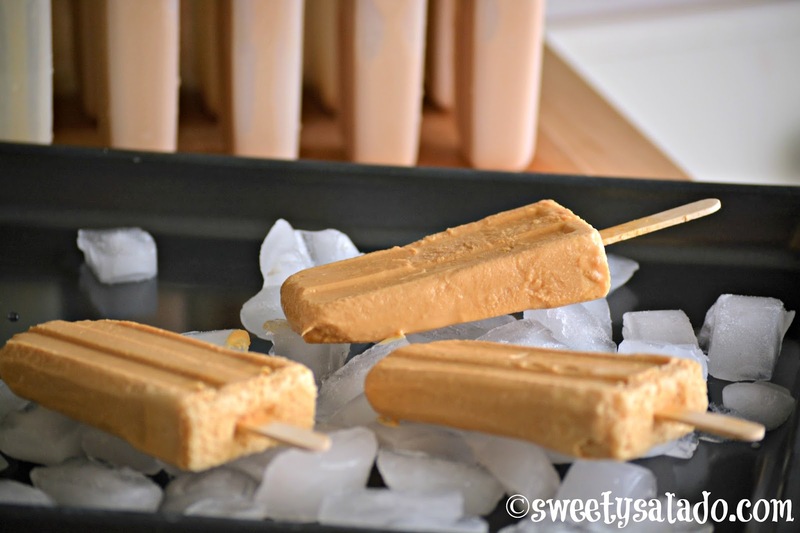 Pour the mixture into popsicle molds and freeze until solid, at least 4 hours. 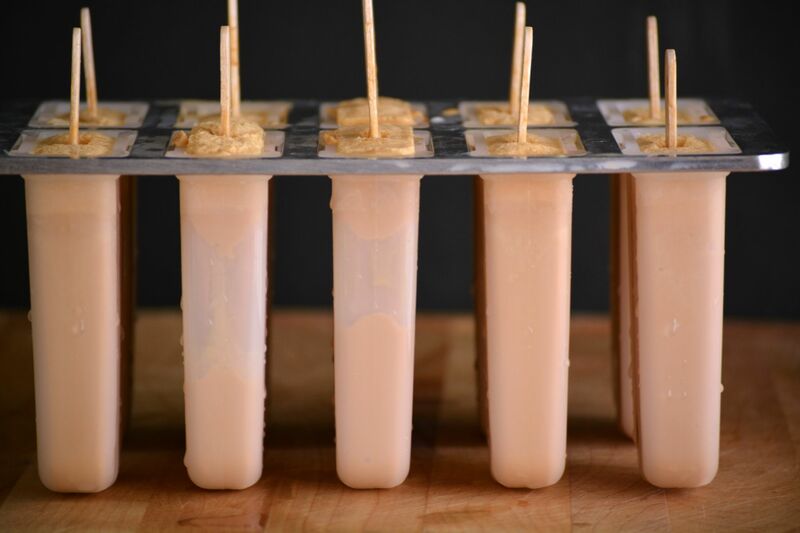 If you want firmer popsicles, replace the amount of heavy cream with regular whole milk or 2% milk which has less fat.